We are the largest award winning Financial Advisor in the GCC region offering a composite suite of insurance, savings and investment products to both corporate and individual clients from a range of international and domestic product providers. NEXUS Group – Nexus Insurance Brokers / Nexus Financial Services are the largest financial advisors in the GCC region, offering a composite suite of insurance, savings and investment products to both corporate and individual clients from a range of international and domestic product providers. 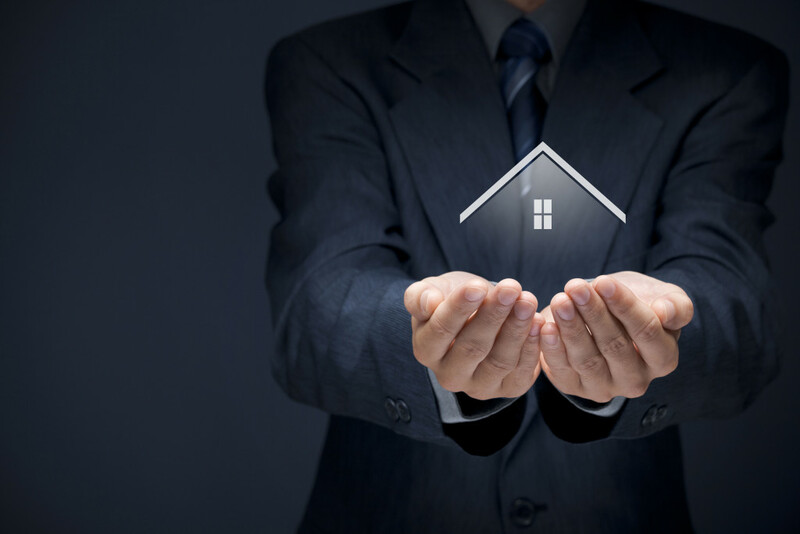 As qualified professionals, Nexus is a company you can trust and as an independent organisation, free from ties to a particular product provider, we can meet those needs with carefully selected solutions from the world’s foremost financial services & insurance companies. Nexus has over 370 qualified professional consultants and is actively supported by over 105 dedicated and qualified management and support staff globally offering a broad range of licensed products from regulated providers. The company was established in 2006 by Mahmoud Nodjoumi, founder and chairman, through a management buy-out of the distribution arm of Zurich International Life in the Middle East which had been established in the region since 1989. With over twenty five years’ experience in the GCC (Gulf Cooperation Council), Nexus operations are located in Dubai, Abu Dhabi, Qatar, Lebanon, the Kingdom of Bahrain and Kuwait to underpin a professional and quality level of service to our clients. We are regulated for the provision of life insurance, savings plans, employee benefits, general insurance and various classes of commercial insurance. NEXUS strives to be a highly respected and recognized financial brand. Based in the Middle East, but with global reach, it will offer composite insurance services and financial solutions to meet individual, family and corporate needs. At NEXUS we strive to deliver bespoke financial solutions to meet the needs of our customers, whether individual, family or commercial. We do this on the basis of uberrimae fides based on strong, lasting personal relationships with a high net worth focus. With a well developed life insurance pedigree, NEXUS will develop its composite insurance business and financial management capacity in its existing markets and beyond. We believe our primary responsibility is to the individuals, families and corporate customers who place their trust in us to provide the most appropriate financial solutions to meet their needs. Strong personal relationships are at the core of our business model and the maintenance of the highest standards of compliance, integrity and honesty is key to our success. Through association with a class-leading panel of providers, and a commitment to provide our staff with leading-edge technical, service and training support, we have the confidence that we offer the best possible bespoke solutions. We have a responsibility to our employees, recognizing their value and contribution at every level of our business. They should feel empowered to act on behalf of NEXUS and at the same time recognize the responsibility that this brings. We should provide appropriate IT, training, infrastructure and medical support concomitant with staff functions and maintain transparent procedures for their well-being and HR requirements. We must deliver equal opportunities and enable advancement and wealth creation to the mutual benefit of the staff and the company. We should strive to be transparent, informative and inclusive so that united as one body, we can grow ‘in good faith’ with our clients. We have a responsibility to the community in which we operate. We acknowledge our responsibility to play our part in developing the financial services industry of the UAE, the Kingdom of Bahrain and Qatar, and as we expand, we do so as the best of ambassadors. We take with us the highest operating standards synonymous with the NEXUS brand. We help the communities amongst which we operate and through strategic partnerships, selected through open and inclusive debate with our staff, we play our part to help others. This recognition of the need to be good global citizens reflects our multi-cultural composition and the founder’s overriding intent that NEXUS represents a force for good. We earn trust and exceed expectations - We are accessible and available. We nurture relationships - We respect the needs of our clients before all else. 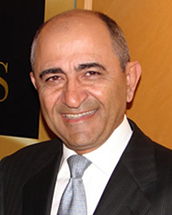 Mahmoud is the founder and Chairman of the Nexus Group. 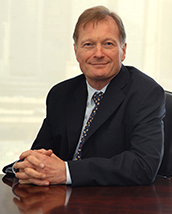 He has 40 years experience in the insurance industry having worked mainly in the UK and the GCC. Mahmoud started his career at AIG in 1974 and in 1979 he was appointed by AIG as Sales Manager in the UK. In 1982 he relocated to Dubai and was appointed Director of Agencies for the G.C.C. 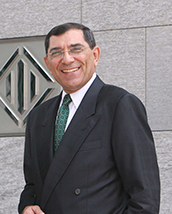 In 1989 Mahmoud established Eagle Star International brokerage in the U.A.E. and Bahrain, which evolved in 1991 into a fully-fledged life insurance company, Eagle Star International Life. In 2004, subsequent to a merger between Eagle Star Group and Zurich Financial Services, the company changed its name from Eagle Star International Life Limited to Zurich International Life Limited (ZIL). At Eagle Star and ZIL Middle East, Mahmoud was the Managing Director for the Middle East and held responsibility for all the company’s Regional Distribution, Administration, Compliance and Governance function. He held this position until 2006, when he took the major step of leading a management buy-out of the ZIL Direct Distribution network in the Middle East and became the Founder and Chairman of Nexus Insurance Brokers and Nexus Financial Services. · Former board member of Emirates Insurance Association in the U.A.E. 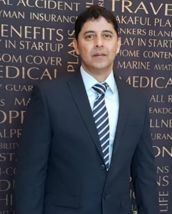 Tarun Khanna has been with Nexus since January 2007. He was appointed Deputy CEO in early 2010, and was appointed CEO in mid 2013. 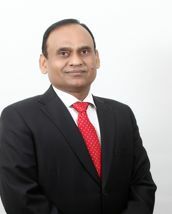 Tarun has extensive experience in financial services having spent 25 years in money management and investment banking. He started his career at Merrill Lynch in New York in 1990 in the investment banking group and has worked with Morgan Stanley, Lazard Asset Management, Wellington Management and Copper Arch Capital, a New York based Hedge Fund. Tarun received an MBA from the Wharton School of Finance and an undergraduate degree from Muskingum College (Honours) with focus on Economics and Accounting in 1990. He also studied at the American University in Paris in 1989. Tarun is a high school graduate of the Doon School in India. Antoine J. Meyer has held Executive positions in some of the world’s leading financial institutions. Having achieved his MA in Law at the University of Paris he achieved his MBA at the University of Chicago and this was followed by attaining a BA Ecole du Louvre, in Paris. His business experience has encompassed twelve years with Citigroup (Corporate Sector), ten years with Eagle Star and five years as Chief Executive Officer of Eagle Star International Life (Isle of Man) and then Zurich International Life. Having graduated with a B.A. in Business Studies from the University of East London and a M.Sc. in Organization Development from Sheffield Hallam University , Peter has worked first as a college lecturer and then in industrial relations and HR in dairy distribution and engineering, in Management Development for Xerox, entering financial services in 1984. He spent seventeen years with Allied Dunbar in a variety of roles (including Director of Sales Management Development, Training and Development Director and E-Commerce Director and eventually as a main board Director, responsible for Sales Strategy. He was responsible for creating the famous King Edward’s Place Training and Development Centre, generally considered to offer the best training in the industry. Since 2001, Peter has undertaken a series of consulting roles within financial service companies in the UK, majoring on situations that require distribution and change management expertise and senior line management experience. 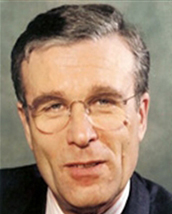 Peter held the role of Chief Operating Officer – Middle East, with Nexus between 2011 and 2014. Sean Dowling is an Advocate and Managing Partner of the law firm Appleby (Isle of Man) LLC. He is also Director of Appleby Trust (Isle of Man) Limited and Appleby Fund Services (Isle of Man) Limited. He has many years’ experience in the corporate and trust business. Sean has acted as Vice President and President of the Association of Bankers in the Isle of Man during which time he was heavily involved in discussions with International bodies such as FATF, IMF, World Bank and UK authorities. He also liaised closely with the Isle of Man government and regulators in relation to a wide area of regulatory and strategic matters. Prior to joining the firm as partner in 2008, he was managing director of an Isle of Man licensed bank and trust company. He also serves on the boards of a number of Isle of Man licensed institutions. Samira started her insurance career by serving an internship with Zurich International Life, Dubai after gaining her BA in Marketing from the American Intercontinental University in London in 2001. She went on to further study at the Inchbald School of Design also in London. Samira joined the Nexus Marketing Department in 2009. Since then she has gained hands on experience in Event Management, Media Communications, PR, and Digital Marketing with emphasis on client communications. Although based in Dubai she is responsible for all Nexus offices throughout the region. Reza comes from a legal and asset management background. He started his career at Lehman Brothers in London in 1998. He moved to Dubai in 2006 as the Director of Caspian for the HSBC Private Bank. Before moving to Dubai, he was the Group Counsel and Chief Compliance officer at Gottex Fund Management a Swiss based fund of hedge funds. Reza received his Bachelors in Law (LLB 1997) & Masters in Law of Banking and Finance (LLM 1999) from the London School of Economics and Political Science. He is a member of the Society of Trust and Estate Practitioners (STEP) and the Chartered Institute for Securities & Investment (CISI). 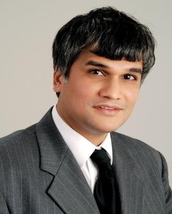 Weldon DeSouza is a Chartered IT Professional of the British Computer Society (UK) and a Certified Computing Professional (USA). In addition, he holds a Masters of Business Administration degree. 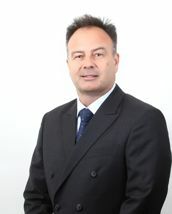 He has demonstrated his competence in Information & Communications Technology with over 20+ years of experience gained with international insurance organizations such as American Life Insurance, Eagle Star International and, prior to joining Nexus, he held the position of Information Technology Manager (Middle East) for Zurich International Life. He has comprehensive hands-on knowledge of Systems Development & Design, Project Management and IT Infrastructure having worked on numerous IT platforms. In addition he has several professional IT vendor certifications and has completed LOMA (Life Officers Management Association Level 1). He is responsible for developing, managing and overseeing the overall Information & Communication Technology function and Strategy of the organization for the entire Nexus Group. 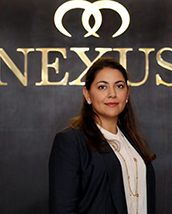 Carine Moneyron is the Operations Director for the UAE operations of the Nexus Group. 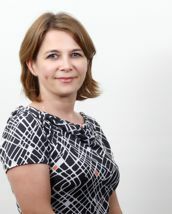 She started her career at Credit Mutuel (France) in 1999, working in the corporate and personal finance divisions. She joined Zurich International Life in Dubai in 2005 as a Sales Manager. She has been with Nexus since 2006 and has had many roles in the operations area over the past nine years. Carine was appointed Operations Director (UAE) in early 2015. Carine received her MBA from Marseille Business School (France) in 1999 with concentration in Marketing. Ali Makki has 17 years of experience in providing administrative & regulatory expertise for all legislative aspects across the organization that require compliance with the local government. Ali has extensive work experience in the UAE and joins us from First Abu Dhabi Bank (FAB) where he has worked since 2010 handling government relations, administration, safety & security, facility management and legal matters. Prior to this he spent 4 years with Dubai Holding as a Security & Facility Manager. He also has 7 years extensive experience working in the Dubai Police Force in various departments. R.M. 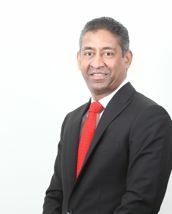 Kumar entered the Financial Services sector in 1993 joining Eagle Star Insurance as a Financial Consultant. He was promoted to Sales Manager in 1998 and appointed Sales Director in 2009. He currently manages a team of several Sales Managers and over 115 Sales Consultants. He holds the Chartered Insurance Institute’s Award in Financial Planning, Award in Investment Planning & Award in General Insurance (Cert CII). In addition, he is also a member of the Institute of Sales and Marketing Management, UK. Raju started his insurance career with the Life Insurance Corporation of India in 1984. He moved to Dubai in 1995 to join Eagle Star as a Consultant. He became a Sales Manager in 2000 and a Deputy Branch Manager in 2003 with Zurich International Life and continued in the same position when Nexus was formed in 2006. He took up the position of Sales Director with Nexus in January 2009. His experience in the Insurance Industry, spanning over 25 years, includes diverse fields such as IT, Accounts, Underwriting, Claims and Sales Management. Raju is a post graduate in business management from Leicester University of UK. He acquired ‘Financial Advisor’s International Qualification from Chartered Insurance Institute (CII) and is a member of the Institute of Sales & Marketing (UK). 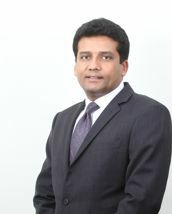 NB Raghu has over 19 years of experience, 17 years of which is in the Financial Services Industry. He has earned his Canadian Securities and Life Licenses and has a Bachelors Degree in Commerce with focus on Factory Administration and Costing. NB Raghu started his career in 1990 as a Branch Manager in a leading South Indian Investment Firm. He later moved to the UAE to join Eagle Star (which later became Zurich International Life) as a Financial Advisor and graduated to a Sales Manager. From there he moved to Canada to work with Edward Jones Investments as an Investment Broker and later moved to India to work with ING Vysya Life as a Branch Manager managing a team of 250 Advisors and 16 Sales Managers. In 2007 he returned back to the UAE and joined Al Fara’a Properties as a Business Development Manager and in 2009 joined the Nexus Team as Sales Director. Rod Allderidge started work in the financial services industry 26 years ago and has been involved in the direct sales side of the business ever since. He started his career in the UK as a Financial Adviser with Acuma Ltd before moving on to Allied Dunbar. In 1994 he took up his first supervisory role building and developing sales teams at Guardian Royal Exchange and Canada Life over the next 7 years. In 2001 Rod was recruited by Standard Life to help launch and develop their Wealth Management division whose primary role was advising on Investments and Estate Planning in the high net worth market. In 2007 Rod was instrumental in the launch of Standard Life’s WRAP Platform which has proved very successful for the company. Late in 2011 Rod was recruited by Prudential Assurance to help establish their Direct Sales Force helping the business grow from zero to 200 sales consultants over the next 2 years. As an ex-pat child who spent the first 20 years of his life in various countries across the Gulf Region it was inevitable at some point that he would return to the area that he thinks of as home. This happened in 2014 when Rod moved to Qatar as General Manager for Nexus Financial Services. More recently Rod has taken on the dual role of General Manager for both Qatar and Bahrain. Rod holds the Advanced Financial Planning Certificate from the Chartered Insurance Institute and he is also a member of the Personal Finance Society. 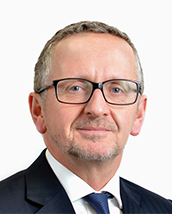 In 1992 Duncan started the early part of his career in banking, working for Barclays plc in the Isle of Man, specializing in offshore services. In 1994 he moved across to the life insurance industry with Eagle Star International Life (ESIL), holding several administrative posts, before in 1998 he was appointed to their corporate division in a relationship management capacity. Continuing with ESIL, through their ultimate transition to become Zurich International Life, over the next decade Duncan specialized in corporate employee benefit solutions with particular focus and growing expertise around expatriate retirement planning. Duncan relocated to the UAE early in 2009 with Zurich International Life, to successfully lead their corporate business development across the GCC, establishing and managing expatriate retirement programs for entities such as Schlumberger, British Airways and the Jumeirah Hotel group. 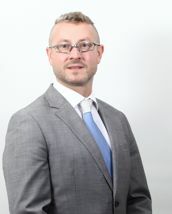 Duncan joined Nexus in Sept 2011 to strengthen their capabilities around employee benefit solutions. Tony has 30 years of experience in the insurance industry. He started his career in Rome in 1987 at Generali’s HQ in Italy. Soon after he was promoted and moved to the UK as an Underwriter in the London Market and after eleven years he was appointed to a non-life senior underwriting position. He was later appointed Regional Manager in Hong Kong to expand the insurance practice and setup the local underwriters association there. 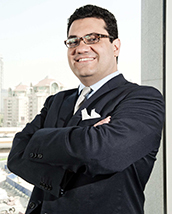 In 2008 Tony was promoted to Area Manager for the Middle East and Africa operations based at the DIFC in Dubai. Before joining Nexus, Tony was a senior insurance advisor of commercial lines and special risks for Multinationals, Governments and SMEs in the region. Tony has a CPA accounting Degree from Istituto Tecnico Commerciale Rome in Italy. 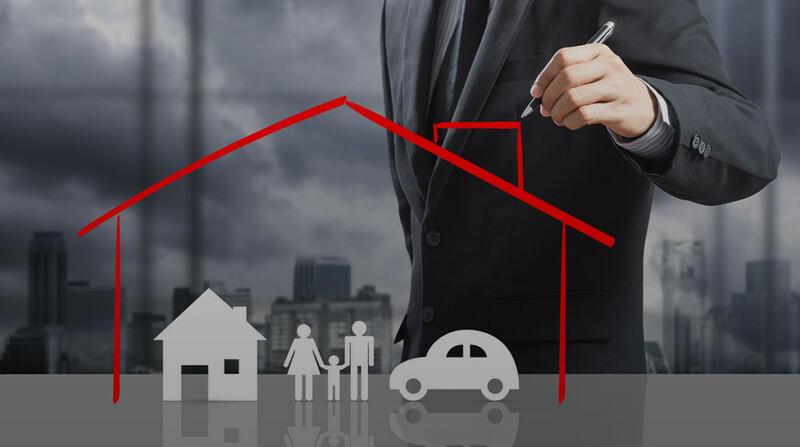 Sunit Arora has over 20 years’ experience in the insurance and financial services industry. 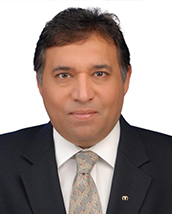 He started his career in 1992 with Eagle Star International (subsequently Zurich Life) as a Financial Consultant. He has served as the Million Dollar Round Table (MDRT) Country Chair for Kuwait, Zone Chair for Middle East & Africa and as the Regional Chairman for India, MENA, Europe & UK. He is a MDRT Life Member & on the Honour Role. Sunit holds a degree in Bachelor of Commerce from Delhi University, India and also holds a Financial Advisor International Qualification from the C.I.I, London. Sunit has lived in the GCC for the last 33 years and was appointed as the General Manager, Nexus Financial Services, Kuwait in 2013. 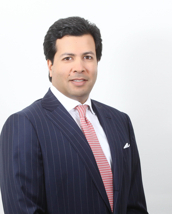 Mansoor Nodjoumi has achieved extensive experience in the global financial marketing arena. He has been involved in a series of operational start ups and has specialized in the provision of financial planning and wealth management. He has worked in New York, Los Angeles, London and has been based in Dubai since 1980. Before taking his current appointment he managed a team of some 140 Financial Advisers within Nexus and has held the global number one position for sales with Zurich International Life.